With their strong senses of smell and hearing, it’s often difficult to tell if a cat (or a dog) is blind. Cats adapt fairly easily to being blind since they don’t realize they are handicapped. Here are some tips on caring for a blind cat. 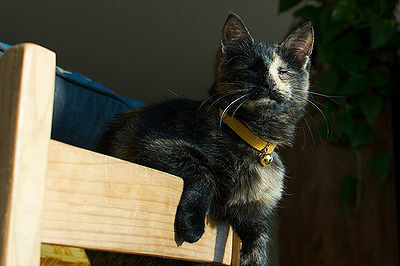 First and very important, a blind cat should remain indoors for safety. If you want to take your cat outside, train it to walk with a harness and leash. You may also set up an enclosed pen outdoors if your cat enjoys sitting out. At home, try to keep furniture always in the same place to avoid the cat becoming disoriented and bumping into things. Placing something with a familiar scent on furniture legs will let the cat know the location of an item. Toys that make noise encourage your cat to use other senses and provide exercise. 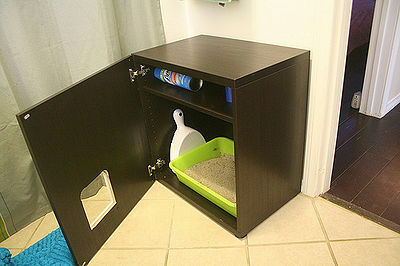 Be sure to have the litter box in the same place all the time, where it is easily accessible. If your cat needs help, you can put him in the litter box at appropriate times, after eating or a play session. Keep your cat’s food and water bowls in the same place all the time too. You can use gates to block doorways or stairs until your cat adjusts. 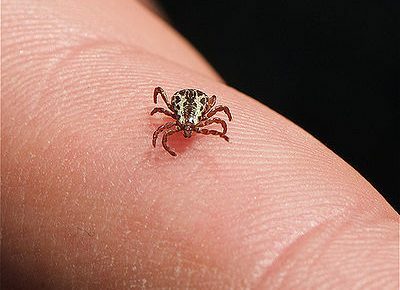 Also beware of open windows or balconies and block them, especially if there is a steep drop. Even though you’ve taken all precautions, have your cat wear a break-away collar and tag with your address and the information that your cat is blind. You can also have your cat chipped. These extras will help just in case your cat becomes lost. When heading in your cat’s direction, try not to startle him. Talk gently to reassure him and so that he can follow your voice. 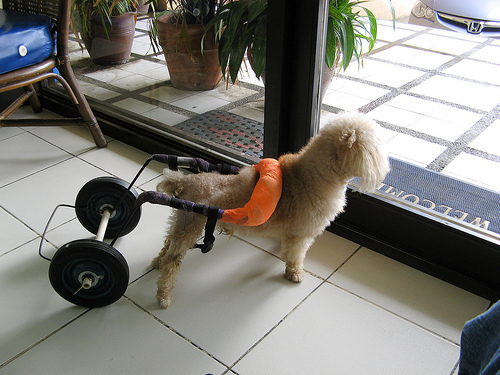 Often a pet companion will take care of his blind friend, sensing that it needs that bit of extra help. Cats also depend on their whiskers, feeling their way along objects. All cats should never have their whiskers trimmed. Once you’ve made your house friendly to your blind cat, be prepared for fun and joy. Your cat doesn’t miss losing its sight and neither should you.